Professional and personal development for Christians working in ministry and Christian service. Grab Hold of True Grit — Part 10 of Cam Taylor's 10 Keys to Thriving When Faced with Ministry Setbacks. In his final session with us about resiliency, Cam is going to talk to us about "true grit". Grit is an essential quality when met with adversity. Cam shows us how to develop more of it. There’s an endurance race called “The Tough Mudder”. Competitors crawl through mud, climb over walls, and navigate harsh surroundings. We asked Cam what quality do those competitors have, that you also need to have, when dealing with a setback. Our Christian Ministry Maven for this episode is Cam Taylor, a leadership coach, speaker, and author who helps people in the church and marketplace live with purpose and resiliency. Cam joins us today from British Columbia to share some of the lessons he learned while on a long recovery journey after a serious motorcycle accident. He has graciously agreed to talk to us about Thriving When Faced with Ministry Setbacks. 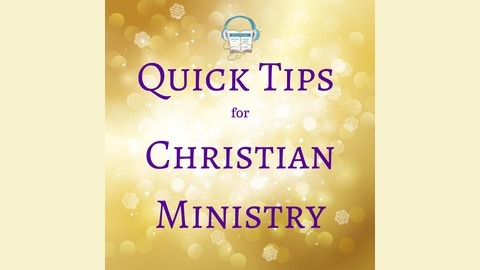 The QT4CM podcast is a peer knowledge sharing initiative for personal and professional development of Christian ministry workers. 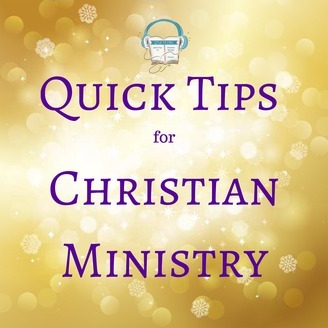 Quick Tips for Christian Ministry is produced with the support of the Great Commission Foundation… to benefit those who serve in the Name of Christ. Want to contribute your thoughts? Click here to suggest a topic for a future episode. Or, click here to send us your proposal to be interviewed. The Show Notes can be accessed by clicking here.